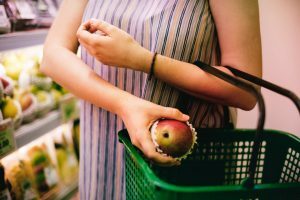 Home › Articles › Do you know your rights as a consumer? Bad service, products of weak quality, broken promises by suppliers of products and services – these are but a few of the problems which consumers have to contend with daily. Fortunately, the rights of South African consumers are protected by legislation, which means they can claim compensation should they be disadvantaged by service and product providers. The two most important acts on which consumers can rely, are the National Credit Act (Act 34 of 2005) and the Consumer Protection Act (Act 68 of 2008). The purpose of the Consumer Protection Act is “to promote a fair, accessible and viable market place for consumer products and services in order to establish national norms and standards with regard to consumer protection, make provision for improved standards of consumer information, forbid certain unfair marketing and business practices, promote responsible consumer’s conduct, promote a non-contradictory legislation and enforceable framework with regard to consumers’ transactions and agreements”. The Consumer Protection Act defines a consumer as “any person to whom goods and services are marketed, is a consumer of goods provided by a supplier, or who enters into an agreement with a supplier or purveyor, of any services or products”. You as consumer have certain rights and you have to know what these rights are in order to lodge a complaint and demand compensation should you be of the opinion that you were treated unfairly. The right to exercise a choice between a variety of products and services with competitive prices. The right to an honest and fair transaction. The right to the disclosure of information – that is all information – regarding the product or service. The right to fair and responsible marketing. The right to accountability from the suppliers. The right to products of good value and quality. The right to fair and reasonable terms and conditions. The right to equality in the consumer market and to protection against discrimination and unwelcome/unsolicited marketing. The right to air your view in matters such as policies, plans, programmes and decisions that might influence you. The right to safety – this entails protection against defects or hidden dangers in products or services. The right to compensation for an inferior service or for the exchange of or compensation for an inferior product. The right to consumer training which will empower you to make informed decisions. What should you do if you are dissatisfied?